The High Street Arts Center has had a long and rich history as a source of culture and entertainment for the residents of Moorpark. In its early incarnation, the El Rancho, located at 45 East High Street in Moorpark, California, was built in 1927 to replace an old wooden structure that housed a silent movie theater. The El Rancho had the distinction of being the only “talking movie” theater in the east end of Ventura County. Sometimes referred to as the Moorpark Theatre, it closed as a movie house in the 1950s and was used for school and community productions. It had many incarnations, even being used as a junk shop. In 1983 it re-opened as a “live” event theater known as the Magnificent Moorpark Melodrama & Vaudeville Co. Audiences came from all over Southern California to experience the unique melodramatic offerings. Ownership changed hands several times through the 1980s and 1990s with the doors finally closing on the Moorpark Playhouse in 1999. In 2001, Larry Janss, whose father and grandfather developed much of Westwood and the San Fernando Valley, bought the building with the intent of creating a new cultural center for Moorpark. He revamped the theater inside and out, putting in lighting and sound equipment, a new concession area, a retractable movie screen, new plumbing and electrical systems, and a new marquee. After a light-hearted competition, the theater was renamed The Theater on High Street, and was transformed into a vibrant venue for classic films, live concerts and plays. The auditorium seating even featured wooden shelves, as it did in the 1920s, allowing patrons to bring food and drinks purchased in the lobby into the auditorium. While the renovations were awesome, the cost of these upgrades were more than initially anticipated and Mr. Janss consequently began to look at buyers for the property. Having put so much effort into creating a theater, he hoped to sell the property to someone who would continue using the property as such. 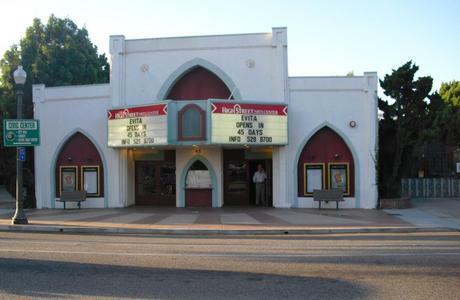 In August of 2005, the City Council of Moorpark came to an agreement with Larry Janss and voted to purchase the theater. After several rentals to local theater production companies, the city, via the Redevelopment Agency, embarked on a new venture: creating a performing arts venue for the Moorpark Community, and renaming it the High Street Arts Center (HSAC). The city’s ambitious plans for the redevelopment of Historic High Street includes the HSAC and it has remained a key element of those plans for the past decade through a serious economic recession with the hope that other developments will follow. After operating the HSAC as a part of the City’s Community Services Department including a substantial financial subsidy, the City Council established the Non-Profit Moorpark Foundation for the Arts in 2009 that assumed daily operation of the HSAC. The City and the Foundation continued to manage the HSAC with the help of City funding and in July 2012, a three-year Operating Agreement was signed giving the growing Foundation full operating responsibility and reducing the City funding. A second three-year Operating Agreement was signed in July 2015 and all city funding was eliminated. From 2010, the success of the HSAC has grown by leaps and bounds, with attendance and revenues increasing by huge percentages. The independent Foundation’s management of the HSAC brought professional quality in aggressive show selection which attracts the best talents the region has to offer and the venue now enjoys the reputation as the finest of its kind in Ventura County.